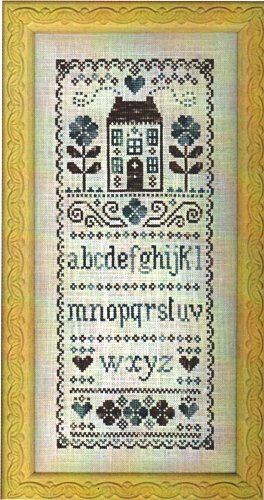 "Turquoise and Chocolate Garden" is a cross-stitch chart with instructions translated in English. ATALIe threads are shaded hand-dyed cotton (or silk) threads by French designer ATALIe; their subtle shading gives a special outcome to your stitching. We advise you to buy the mini-pack of ATALIe threads we have prepared to match this pattern. See below the "related products" section to buy the right mini-pack of ATALIe threads. The model on the picture has been stitched on a 32 count linen fabric (colour "cream") using two strands of cotton over two threads of fabric. Recommended fabric: 32 count linen fabric (colour "cream" or "off-white") 30x50cm (12x20in) or 16 count Aida but you may stitch it on a lower count fabric. This product is a chart + instructions translated in English.